Some people are born with a silver spoon in their mouths. Jaclyn Peresetsky, owner of Skin Perfect Spas and an esthetician, was born with a makeup brush in her hand. Ever since she can remember, she has been captivated by makeup, skin care, color and all things beautiful. Her interests led her to receiving specialized education at the Columbus College of Art & Design where she studied color theory and portrait artistry. 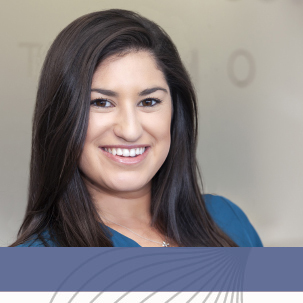 Jaclyn married her expertise in color theory with her interest in skin care and cosmetics by studying with the best plastic surgeons and skin care therapists at the Ohio State University. 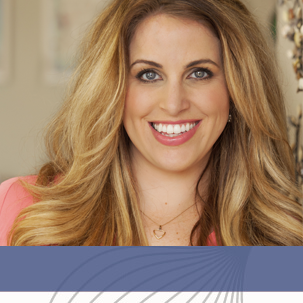 She has worked as an esthetician for some of the most renown plastic surgeons in the mid-west. 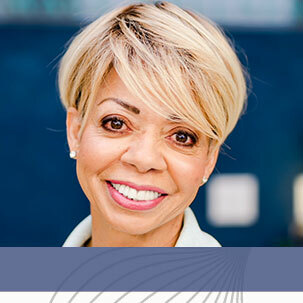 She is known as the go-to- expert in Central Ohio and Southwest Florida areas for her skincare and cosmetics lines, skin analysis, customized treatment and skin care programs and therapies, custom blend makeup, eyebrow design, permanent makeup, and color analysis, having served many of the same skin-glistening clients for over a decade. An entrepreneur at heart, Jaclyn pursued a venture that eventually led her to open Skin Perfect Spa in Worthington, Ohio in 2006. The spa is known for creating custom skin care, microcurrent treatments (yes, this is the treatment that even caught the attention of Oprah), oxygen facials – the exact same treatment that Madonna can’t live without – microneedling, color analysis and other spa services. Jaclyn has been featured in Capital Style magazine, Business First, numerous web sites and blogs around the US and is a regular guest on Fox’s Good Day Columbus. She is the author of Discover the Power of Your Colors about how incorporating color in your life can increase your happiness. She also writes articles for various professional skin publications such as Skin Inc Magazine and Skin Deep magazine. She is releasing her next book in 2017, titled, Smart Skin Is Perfect Skin, in which she shares complexion strategies for smart people that want to be smart about their skin. In 2009, Jaclyn and a previous business partner opened Identity, a retail store in Worthington Mall in Ohio that offered a unique color analysis process that expanded upon Color Me Beautiful’s 1980’s system. This experience in retail was pivitol as it gave her a better understanding of the retail market and what holes there were in the beauty industry. In 2010,she created Colore Me Perfect mineral cosmetics that offered color perfected makeup for even the most difficult complexion to match. She test proof of concept in her retail store Identity and in her Skin Perfect Spas. She also developed a color and makeup application education system that she teaches to her staff, privately and in trade show industry classes. She later decided to consolidate the store concept inside of her Skin Perfect spa so there is a strong retail experience and service balance in her spas. Recently, Jaclyn also opened a second Skin Perfect location in Columbus,OH in 2014, followed by a third location in Naples, FL in 2015. She is now working on a patent of a color identification system that she created to better identify unique color characteristics that make choosing makeup effortless. With this pending patent, she will take Colore Me Perfect cosmetics national. 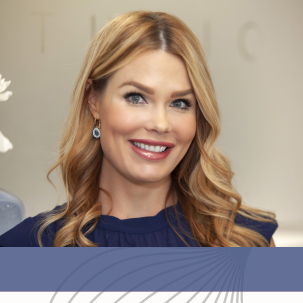 Committed to continuous education, Jaclyn travels the world to learn of new techniques and product lines for skin care and makeup as well as doing speaking events and news segments. Through this intense experience of launching multiple businesses while in her 20s and now maturing the businesses in her 30s, Jaclyn enjoys the love and support from her husband (Dmitry) and two sons (Misha and Maksym) and truly enjoy their new home in Naples, FL. Jaclyn’s best accomplishments are hearing her skincare clients swell with confidence as they tell her stories of the compliments they receive about their skin and how happy they are with their results. Through these strong and heart felt connections grows her drive to keep pushing for the best skincare products and treatments for the spa’s clients. She attribute much of her success to her amazing Skin Perfect team and her cherished spa clients. Vaidila Harmon was born in the beautiful country Lithuania in a small city, Birzai. She finished a six year art school specializing in oil on canvas and loves painting contemporary abstracts. 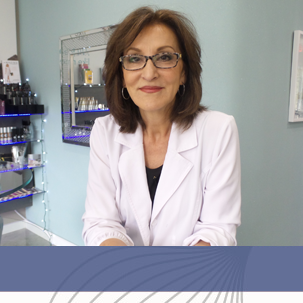 Her love for working with people and making them feel good led her to the career of esthetics. Vaidila’s creative and spiritual personality are what clients love most about what she has to offer to the spa. She maintains a focus on educating herself and clients about the best products and treatments through advanced classes and her European history. 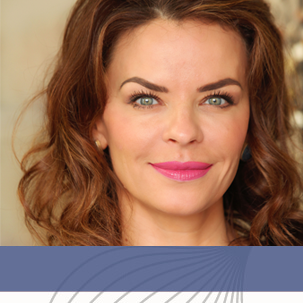 Body balance and internal health are the focus of Vaidila’s beliefs and her motivation to be the best in skincare. Her daughter, Gabriella, is the support system she has to pursue this ever advancing esthetics career. Debbie was first introduced to Skin Perfect January 2009 through Capital Style Magazine. After meeting Skin Perfect owner, Jaclyn Peresetsky, they began a strategic marketing campaign to introduce Skin Perfect to the magazine readers. Not long after she signed up for her own monthly skincare membership and made appointments for permanent makeup. As she left her career and entered retirement she knew she wanted to be on the Skin Perfect team. 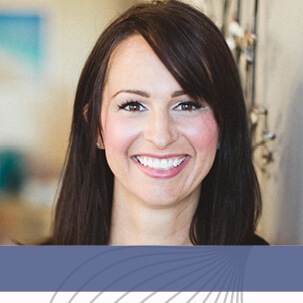 Jill Pfeifer, a licensed managing esthetician, holds a bachelors degree in Organizational Communications. As she went through school she coupled her communications major with an understudy of nursing. After college she spent several years in the corporate world, but found herself longing for a creative and challenging outlet where she could continually learn. Through her searching and the support of her husband, Joel, she found the esthetics field. Educating her clients on the advancements of clinical skin care and the truths about what really works is exciting for Jill. 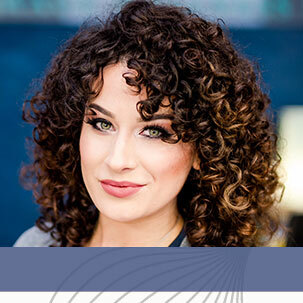 Her knowledge of the human anatomy and her love of helping others uncover their beauty lends to her specializations in lymphatic drainage, eyebrow shaping, color analysis, and custom blend makeup. 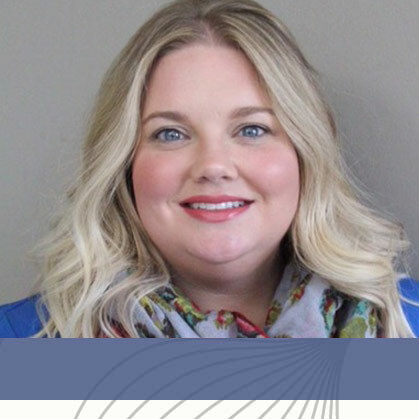 Ashlee Barnum, a licensed managing esthetician, found her career path through her love of skin care and chemistry. She previously attended nursing school and worked in the Emergency Department as an ED Tech for four years. Although she loved what she did, she decided that wasn’t the career path that she was destined to follow. She pursued her education as an esthetician at The Spa School where she also received additional certifications in eyelash extensions and aromatherapy. Ashlee’s artistic and creative abilities combined with her love of chemistry and knowledge of the skin push her to being very focused on positive results. “Your face is your canvas for all the world to see. My goal is to help you achieve your best canvas: smooth, clear, and vibrant.” Ashlee lives in the little country town of Mount Gilead, where she grew up, and lives with her husband and their three boys, Mason, Carson, and Heath Jr. In her spare time, she enjoys camping, watching sports, wake-boarding, and playing softball. After graduating from cosmetology school in Florida, Chloe moved to Columbus to be closer to family. Before this, she chased her dream of being a musical theatre performer and attended performing arts schools such as Interlochen Arts Academy and the Boston Conservatory at Berklee. Her love for makeup began in junior high when she performed in her first musical and and found herself applying everyone’s false eyelashes in the dressing room. Along with makeup artistry, Chloe has expanded her services to include lash extensions and color analysis. It is a dream for a makeup artist to be able to work so closely with estheticians, so she loves to pick their brains about skincare when she’s not helping clients find their best colors. Abbigail Tarr, a licensed managing esthetician, started her career in 2011. Abbi began her career as a certified makeup artist and skin care specialist with Sephora, where she received 5 years of extensive makeup and ingredient training. The love of skin health and confirmation of her career path came about in her childhood. Abbi had dealt with cystic acne for years, never able to find a solution. While working in her teens, at her family’s fitness center, she began to realize all the factors that contribute to the health and aesthetic of one’s skin; energy, stress, food etc.. From that moment on, Abbi took on a holistic lifestyle and began research on how to become the best skin therapist for each individual client. She loves the unique diversity of all skin types and solving skin problems through extensive research. Abbi is truly thankful to have found a career that drives her passion as well as finding her home within Skin Perfect. Samantha may be new to the Skin Perfect Team but is not new to the Skin Perfect Family. As a longtime client, she learned the importance of starting a skin care regimen at an early age. Growing up with her mom as a cosmetologist, she spent a lot of time in a salon surrounded by others passionate about beauty both inside and out and believes that is when the esthetics seed was planted. 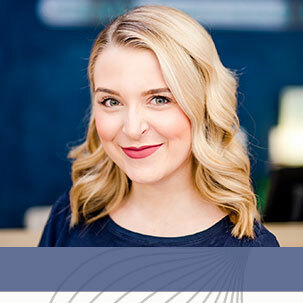 After years of working in the accounting field, Sam decided to follow her passion for esthetics and graduated with her Advanced Esthetics license from The Spa School earning additional certifications in chemical peels, microdermabrasion, aromatherapy, airbrush spray tanning and eyelash extensions. She has trained under several Skin Perfect Master Estheticians and has developed a passion for creating a signature glow for her clients. “There is such a confidence that radiates from a person when they have amazing, healthy skin. I love creating a glowing, smooth canvas for makeup or makeup free days.” When she is not at work, Sam enjoys traveling and spending her free time cooking and entertaining her family and friends. Alyssa was born and raised in sunny Naples, FL; with the beach as her back yard, she quickly became enthralled with skin care and which looks went well with beachy waves. 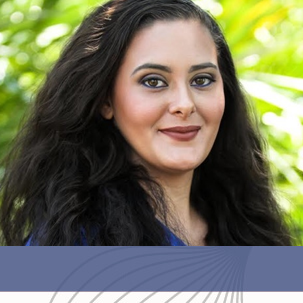 After graduating high school in 2009, she ventured to Orlando to pursue a degree in Journalism but quickly learned Marketing and Communications was a field more up her alley. After 3 years spent doing general education, Alyssa returned to South Florida to finish achieving her goal of receiving a degree in Marketing. With a passion for interaction with others and a love for all things beauty, Alyssa is more than excited to begin her journey here at Skin Perfect Oasis; friendly and always smiling, she hopes every client leaves feeling rejuvenated and ready for the Florida sun!